Manufacturing activity in America continued to expand last month, according to two reports released this morning. 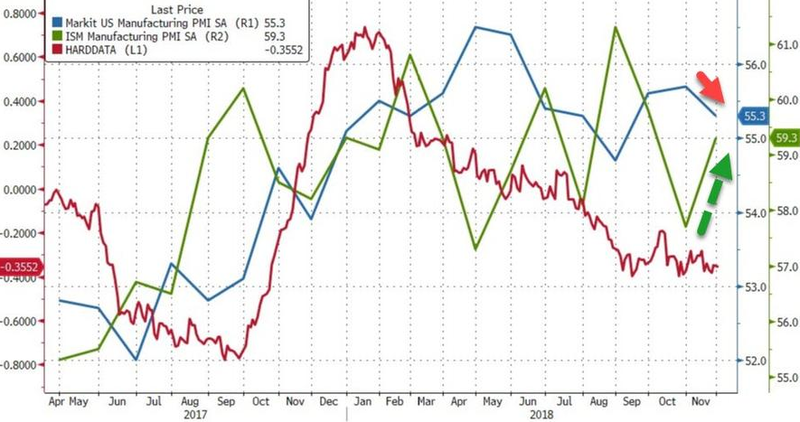 First, the purchasing managers' manufacturing index (PMI) from IHS Markit slid to 55.3 in November, the lowest print since August but still a historically strong reading. 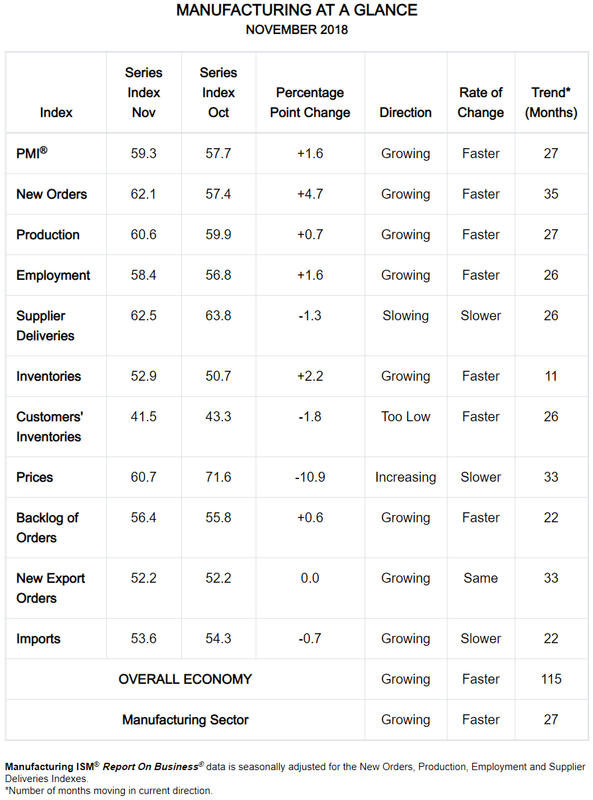 Moreover, new orders increased last month at the fastest rate in half a year, and foreign demand also picked up. To keep pace with the rise in new business and reduce capacity strain, manufacturers continued to expand their staffs in November, although for many firms order backlogs still increased because they could not grow their operations fast enough. As for inflation, input prices continued to rise in November, albeit at a much slower rate. Many firms took advantage of this cooling in price pressures to stockpile needed materials in case additional tariffs are announced. Further, the greater cost burdens for now have yet to be a major problem for manufacturers as most surveyed managers said that they have been able to pass on rising expenses to clients thanks to strong demand conditions. 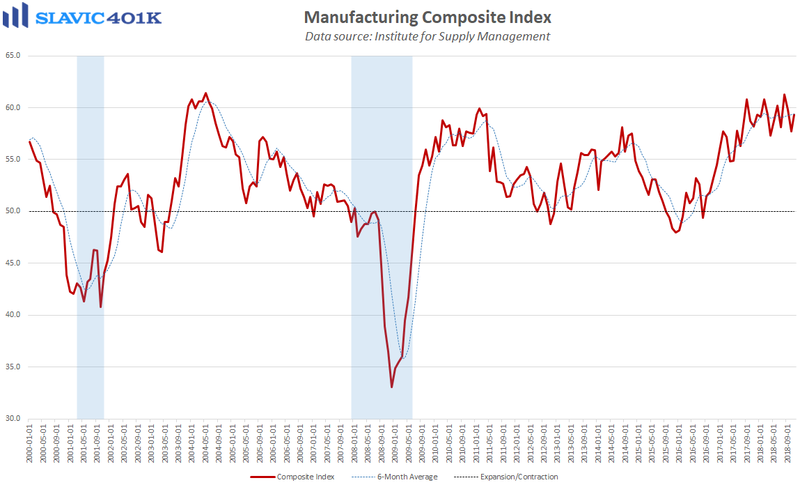 Similarly, the Institute for Supply Management's manufacturing index ended November at 59.3, an improvement from October and much better than expected. 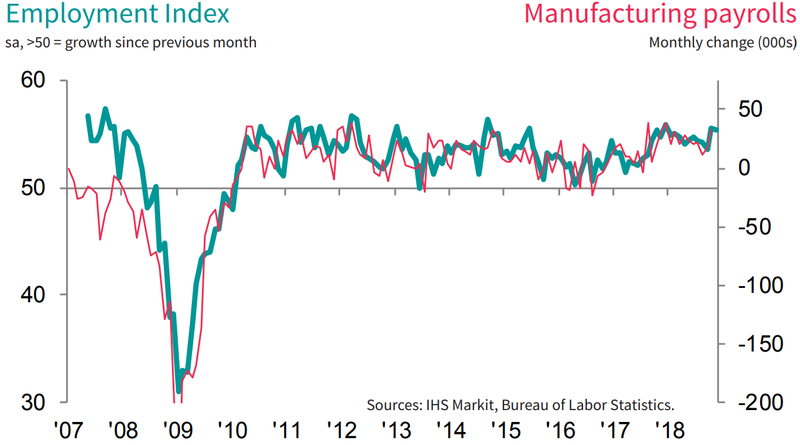 Under the hood, measures of new orders, production, and employment improved last month, and prices paid declined by the most since 2012. 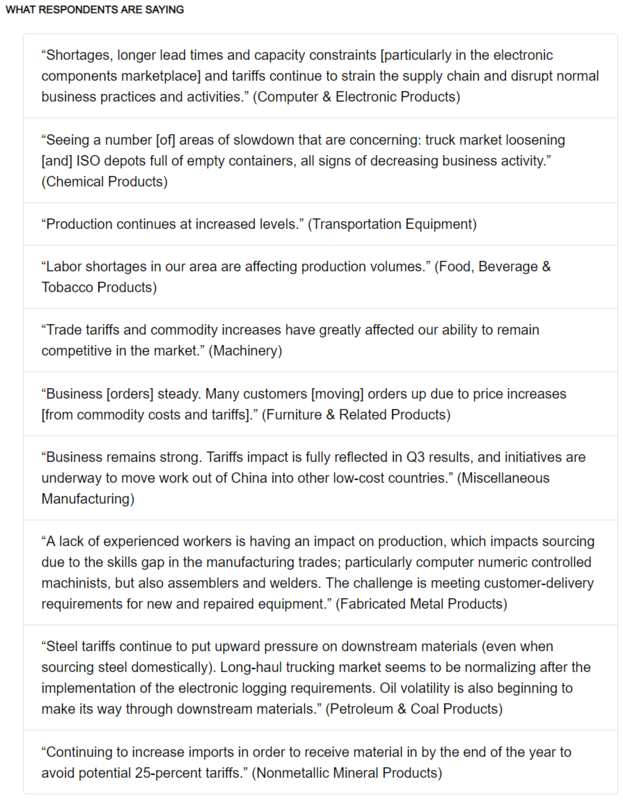 Comments from surveyed manufacturers were generally positive, but complaints about trade policy uncertainty and labor shortages remained elevated.